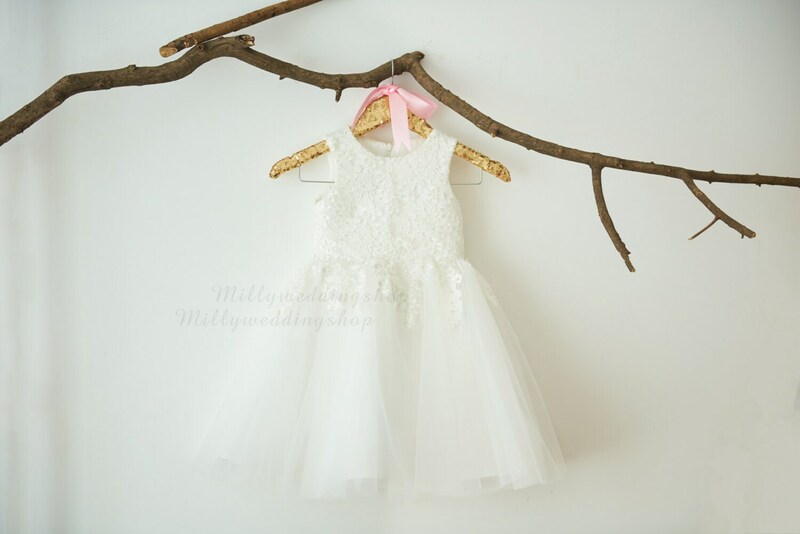 Skirt –Bodice lace extends to the skirt, white or champagne tulle with soft polyester lining. I’m so happy with this dress! 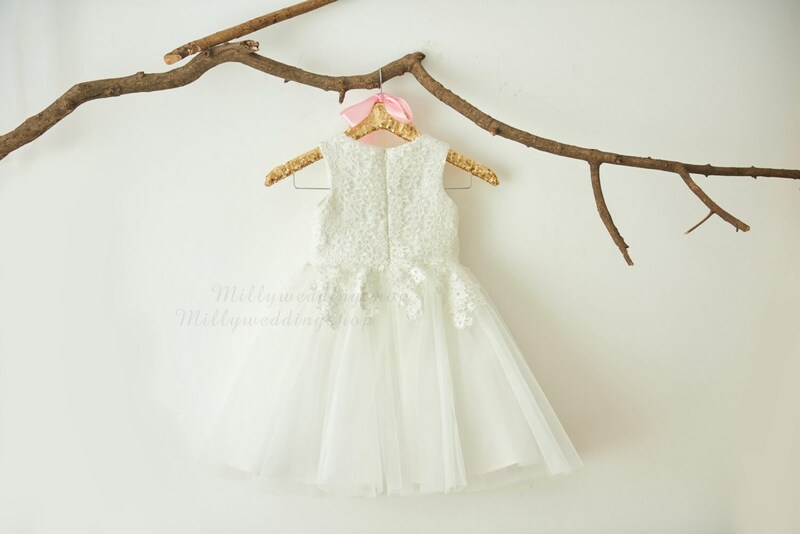 It’s beautiful, really well made and so much nicer than the dresses in the shops around the same price. 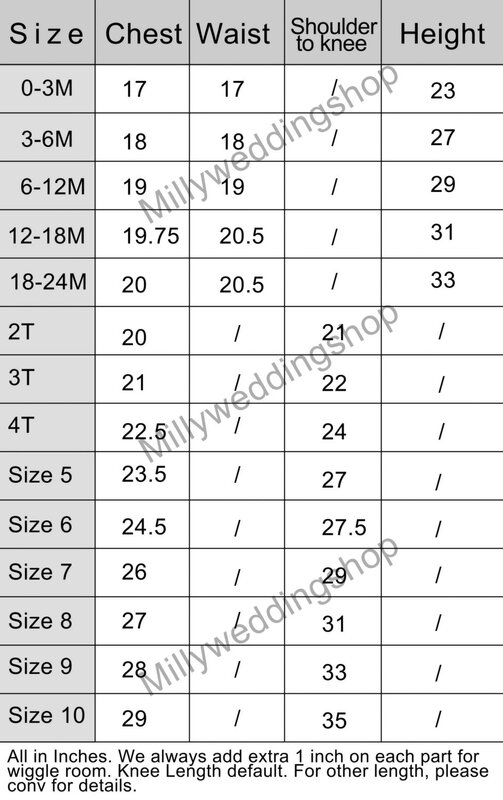 I contacted the seller to ask about sizing and she was really helpful. Absolute perfection! This dress completely exceeded my expectations. My daughter looked absolutely adorable and we had numerous compliments on her dress. I also received the dress in a very timely manner, which was great! 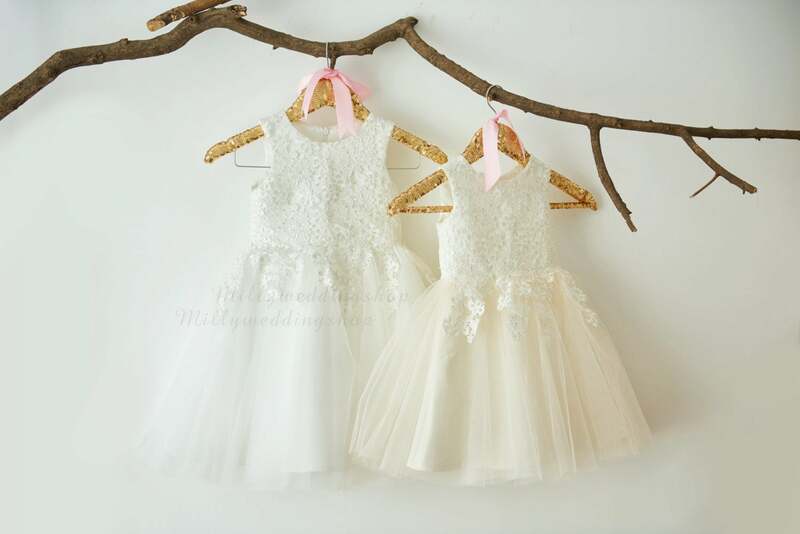 I bought 2 dresses for my 2 flower girls. I am very happy with how they turned and my flower girls love them! They look adorable in them! 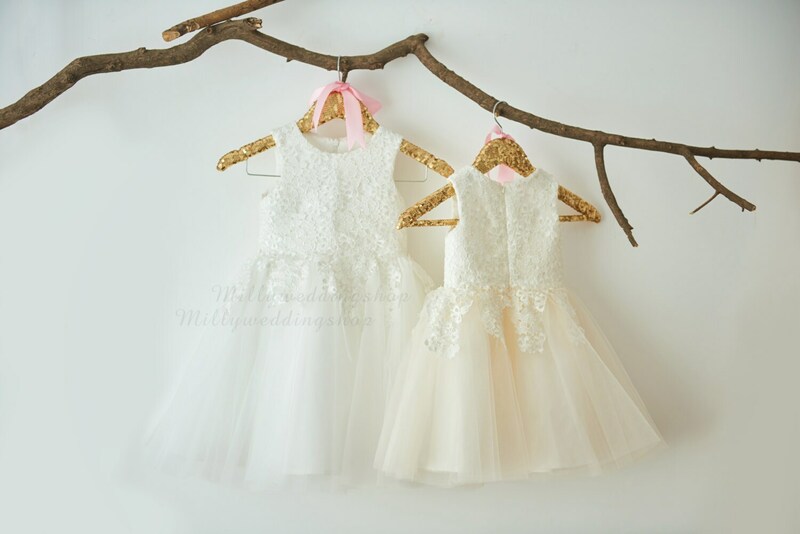 The dresses came when expected if not sooner.